The RACV Cape Schanck resort which hosted the Victorian Tourism Industry Conference last July. Image: RACV/Business Events Mornington Peninsula. 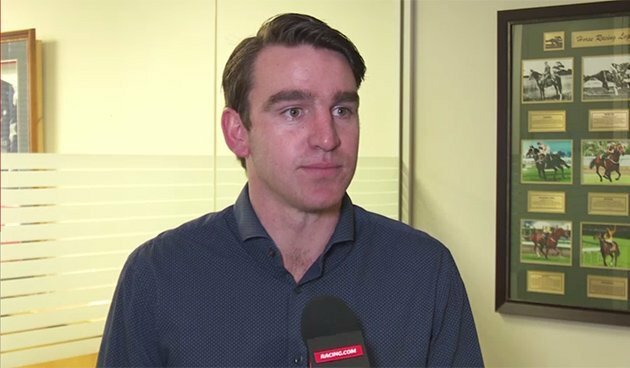 The Warrnambool City Council is claiming its budget is tight, yet it spent more than $10,000 to send seven people – including the CEO of the Warrnambool Racing Club – to a tourism conference at a Mornington Peninsula resort last July. 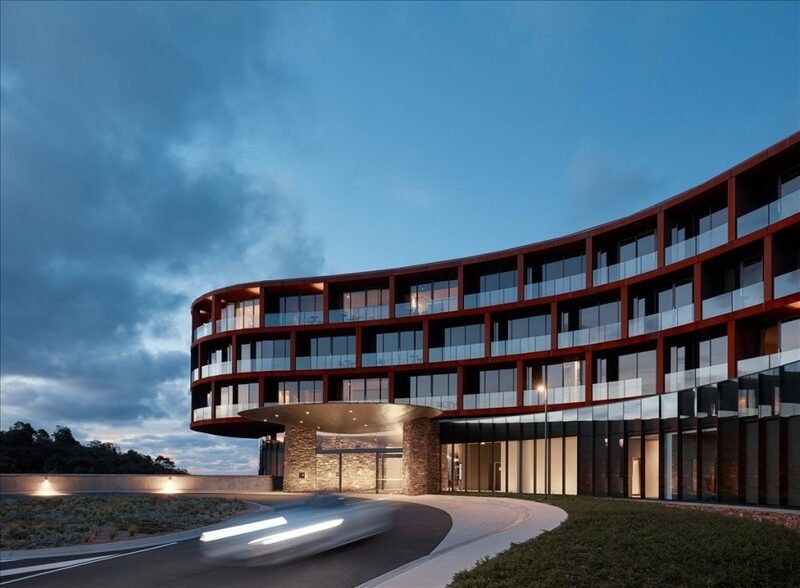 The council has confirmed two councillors, WRC chief Peter Downs and four council staff attended the Victorian Tourism Industry Council annual conference held at the RACV Cape Schanck Resort from July 30-31. The council has put the total bill for the conference at $9034, including $3934 in accommodation and $4830 in conference fees and only $270 in food. I have received reliable information, however, that the final cost also included more than $1000 in drinks in the resort’s Lighthouse Lounge and more than $400 on meals and drinks in its cafe. A council spokesman said “any food /drinks beyond (the $270) would have been settled by the individual(s) themselves as a personal expense”. Perhaps the big drinks bill was repaid, but I have not seen any evidence of that. Those who attended the conference included now-mayor Tony Herbert, who is chair of the council’s Visitor Economy Advisory Committee, fellow committee member Cr David Owen (both funded their share through their councillor allowance), the council’s head of Visitor Economy, David McMahon, and three other council staff from Visitor Economy. The final delegate was racing chief Mr Downs, who nominated and was chosen to join the council’s Visitor Economy Advisory Committee when it started in May 2017. 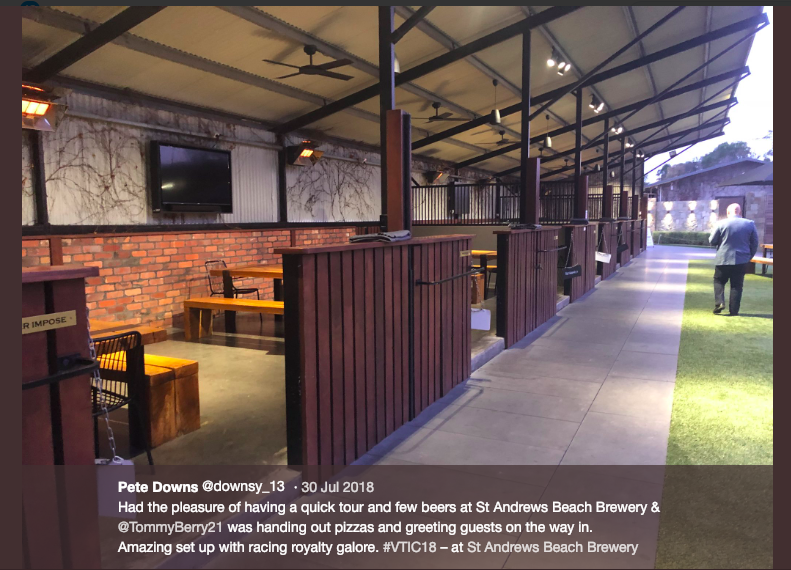 The conference, by the way, included sunset drinks at the St Andrews Beach boutique brewery which has been converted from first class racing stables and was worthy of a tweet from Mr Downs (see below). There are two things about this story that don’t sit right. First, as we know, the council is surveying ratepayers right now as part of a process to try and lift rates above the 2.5% cap. The council is saying that it must save at least $700,000 a year for the next three years and the only two options we have been given are to either cut services, or raise rates. Given this, what a double-standard – or perhaps a better word is insult – for the council to have sent seven people off to Cape Schanck to learn the latest in tourism trends, funded by an obviously healthy professional development budget. 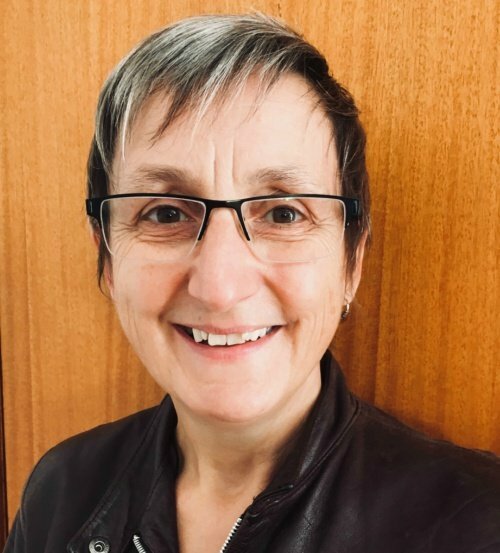 The issue here is not only the money, but the mindset: while ratepayers have to expect cuts to services like childcare, council networking opportunities can roll on as normal. The second unsettling aspect of this story is the inclusion of Mr Downs. It is no secret that Mr Downs’, as CEO of the WRC, has been a major player in pushing for commercial racehorse training at Levy’s Beach, in the Belfast Coastal Reserve, and lobbying to make sure this happened. In fact when Mr Downs was chosen for the council committee in 2017, it was just eight months after racehorse training was banned at Levy’s because of concerns raised by Aboriginal Victoria and the push by the WRC to get racehorses back on the beach was in full swing. This council doesn’t seem overly fussed by potential conflicts of interest around the racehorse training issue, but I would have thought the decision to appoint Mr Downs’ to the visitor economy committee in the first place – given the political context – was questionable. The issue here is not that Mr Downs has done anything wrong – he is only taking what is offered – but that the council considers all of it acceptable. On any measure, Mr Downs has been given the sort of out-of-hours access to key members within council that others could only dream of, if they were lobbying in the same manner. In this case, it has even paid the bill. 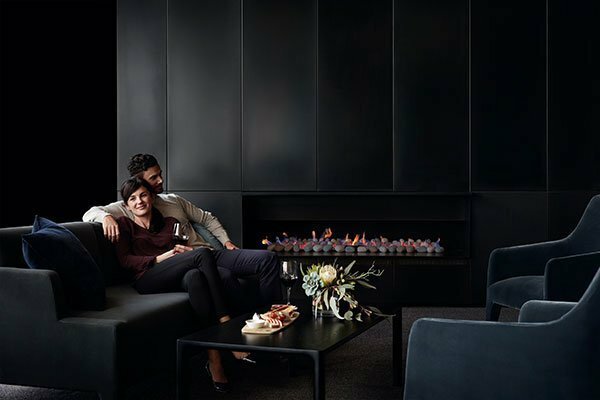 A promotional shot of the Cape Schanck Lighthouse Lounge where the WCC delegates spent more than $1000 on drinks across two days. Image: RACV. According to a lengthy council statement in response to my questions, Mr Downs was chosen for the conference after the council asked for “expressions of interest” from all six community members of its visitor economy committee and only Mr Downs responded. The statement also says it is appropriate that Mr Downs is on the council committee, because the WRC is a significant player in the local economy and tourism. Further, the council says, nothing about racehorse training or the Belfast Coastal Reserve Management Plan has been raised in the committee meetings. Nothing at all? Really? What about before the meetings, or after? By coincidence, the final Belfast Coastal Reserve Management Plan, which said racehorse training should resume, came out during the tourism conference. Was this hot potato raised during drinks at St Andrews brewery or over dinner at Cape Schanck? We don’t know. We do know, however, that Cr Tony Herbert – within three days of becoming Mayor on October 29 last year – placed sorting out the racehorse training issue at the very top of his to-do list. You can read the full council statement on this whole issue here. In a nutshell it justifies the conference by saying the council values professional development opportunities, that the funds came out of a professional development budget and that there were several important outcomes, including: a follow-up meeting by VTIC in Warrnambool, a range of new marketing tactics, valuable networking and contacts, and passing on “key learnings” to other staff and councillors. Worth every cent? I will leave you to decide. If you would like to see The Terrier keep digging up, sniffing out and chewing on local issues, please make a small contribution below.